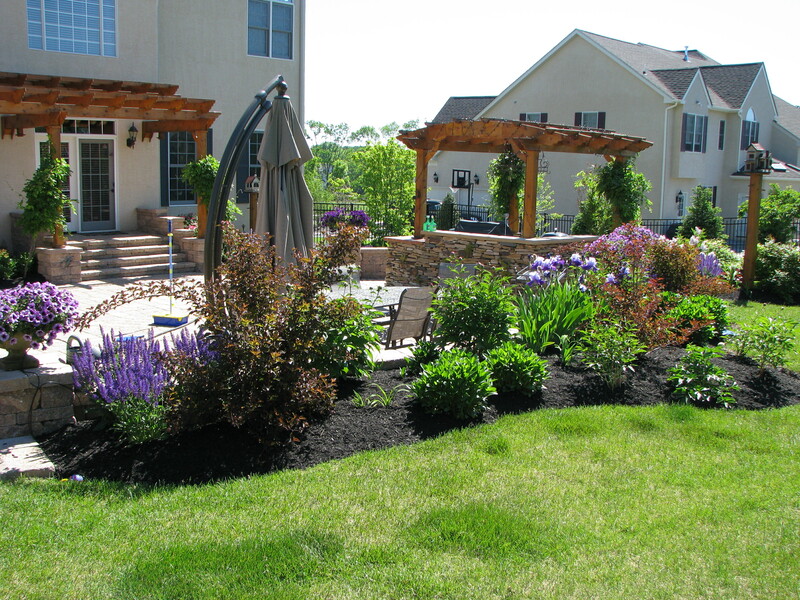 SPRING is HERE and it is a great time to get your yard and landscape in shape. Here are 8 tips to prepare your yard and landscape for the upcoming outdoor season. Perform a thorough cleanup around your property. Walk your property and collect all of the debris which has been deposited over the winter, you will be surprised by all of the branches, green debris, and miscellaneous trash which has blown onto your property over the winter. Give your lawn a raking, to remove the leaves that you missed in the fall or that have collected over the winter. This will also gather up all of the small twigs, etc and give the grass a good brushing over. Some people worry that cutting a new edge on their landscape beds creates bugger beds over time. Don’t worry, you don’t have to cut a whole new edge, just clean up the existing edge, it helps keep the lawn from growing into your beds and gives your landscape a clean, well maintained look. Spring is the time to get in there and weed all of your landscape beds. The best way to do this is the old fashioned way, get down on you hands and knees and pull them by hand. This is also the time to apply a pre-emergent weed control to your landscape beds. Apply new mulch to you landscape beds and around your trees. Sure new mulch makes everything look neat and clean but it also helps to retain moisture in the soil, suppress weed growth, and as it breaks down it adds organic matter back into the soil. This is a great time to inspect your existing hardscape. Walk around and inspect your existing patios, walkway, retaining walls, etc.. to see if there are any areas which look like they may need some work. Over time and after the freeze, thaw cycle of winter there may be areas which have settled or heaved, it is best to address these issues before they become a bigger issue. It is also a great time to consider having your paver patio or walkway cleaned and maybe have new polymeric sand installed in the joints. This is a great time to begin a lawn treatment program. As your lawn comes out of dormancy from the winter a multi-step program, including crab grass control, pre-emergent weed control, and fertilizer treatments will soon have your lawn looking better than ever. Also, consider testing your soil every few years to make sure it has the proper mix of nutrients and PH balance. You made the investment in an irrigation system so we suggest you have a professional service your system annually. Many firms, such as out Heads Up Sprinklers team, offer an annual contract to check the system each spring for any damage from the winter, start the system up, make any needed adjustments or repairs, and then come back in the fall to clean out the lines and shut the system down for the winter. The team at Northampton Nursery is here for all of you landscape and hardscape needs. We are committed to creating Raving Fans and would be happy to help you with any of the above needs at your home.